WHAT IS KERNAL(OPERATING SYSTEM IN SYSTEMS) & DIFFERENT KIND OF KERNALS AND ITS FUNCTIONS. 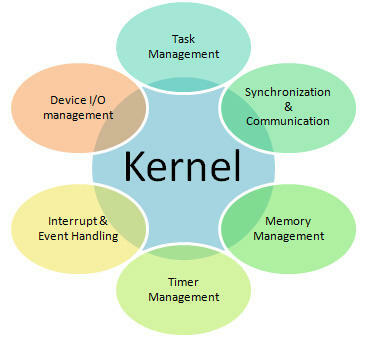 WHAT IS KERNAL(OPERATING SYSTEM IN SYSTEMS)AND DIFFERENT KIND OF KERNALS AND ITS FUNCTIONS. This central component of a computer system is responsible for running or executing programs. The kernel takes responsibility for deciding at any time which of the many running programs should be allocated to the processor or processors (each of which can usually run only one program at a time). Random-access memory is used to store both program instructions and data. Typically, both need to be present in memory in order for a program to execute. Often multiple programs will want access to memory, frequently demanding more memory than the computer has available. 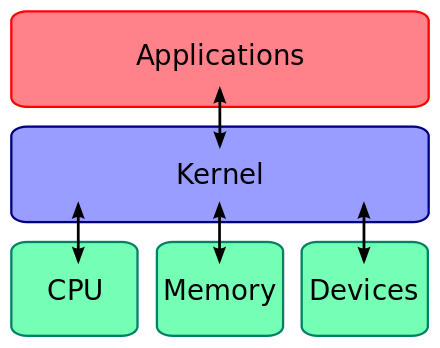 The kernel is responsible for deciding which memory each process can use, and determining what to do when not enough memory is available. I/O devices include such peripherals as keyboards, mice, disk drives, printers, USB devices, network adapters, and display devices. The kernel allocates requests from applications to perform I/O to an appropriate device and provides convenient methods for using the device (typically abstracted to the point where the application does not need to know implementation details of the device). Key aspects necessary in resource management are the definition of an execution domain (address space) and the protection mechanism used to mediate the accesses to the resources within a domain. Kernels also usually provide methods for synchronization and communication between processes called inter-process communication (IPC). A kernel may implement these features itself, or rely on some of the processes it runs to provide the facilities to other processes, although in this case it must provide some means of IPC to allow processes to access the facilities provided by each other. Finally, a kernel must provide running programs with a method to make requests to access these facilities.